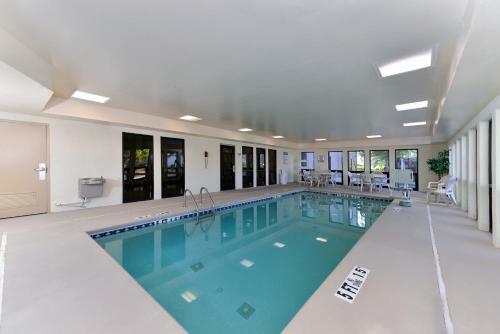 An indoor pool and free Wi-Fi complement free weekday breakfast and lots of nearby shopping and dining at Comfort Inn & Suites At Stone Mountain. This three-story hotel offers 57 rooms with free Wi-Fi microwaves mini-fridges coffeemakers irons ironing boards and cable TVs. 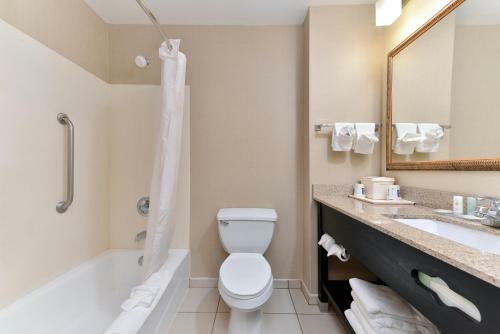 Some rooms also have jetted tubs sleeper sofas and wet bars. Fuel up for the day ahead with free continental breakfast on weekdays and spend quality time with your family in the indoor heated pool. 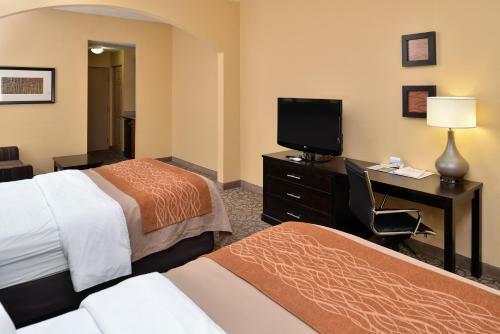 A fitness room and guest laundry are available. Parking is free. Tickle your taste buds at numerous restaurants within a half-mile of the hotel. Stone Mountain Park with its Skyride the giant granite carvings and lots of hiking trails is less than a mile away. Check out the arts and crafts at the Village of Stone Mountain four miles away or watch your kids smile as they pet animals at the Yellow River Game Ranch seven miles east. 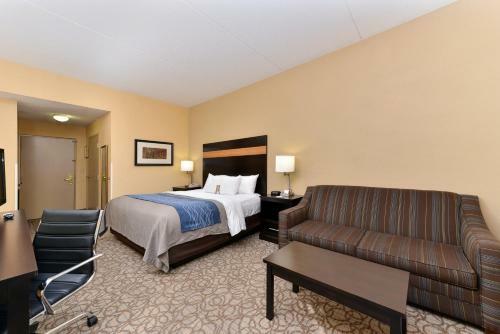 Downtown Atlanta is a half-hour drive from the hotel and Hartsfield-Jackson Atlanta International Airport is 28 miles away. 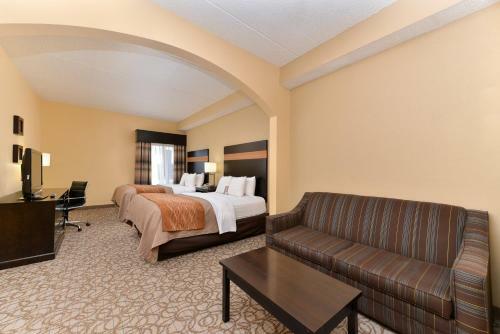 Add Comfort Inn & Suites At Stone Mountain to your free online travel itinerary.